The CSTT 2018 Annual Meeting took place 8.-11. February at the Lammi Biological Station. 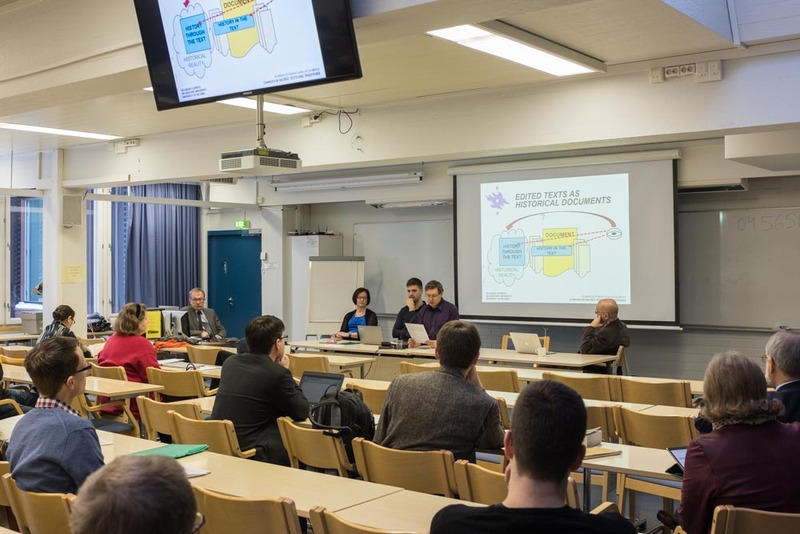 The special theme Authority and Change was approached from different angles by the keynote speakers Joanna Töyräänvuori, Shana Zaia, Christoph Levin, and George Brooke. We also heard two interesting panels dealing with the definition of authority and the usage of edited texts in reconstructing history. Most of the hands-on work took place in smaller workshops, bringing the CSTT teams together in different combinations. This way of working produced exciting new ideas and opportunities for collaboration between scholars dealing with different kinds of source materials. The following pictures hopefully illuminate some of the exciting and fruitful moments in the snowy Lammi. 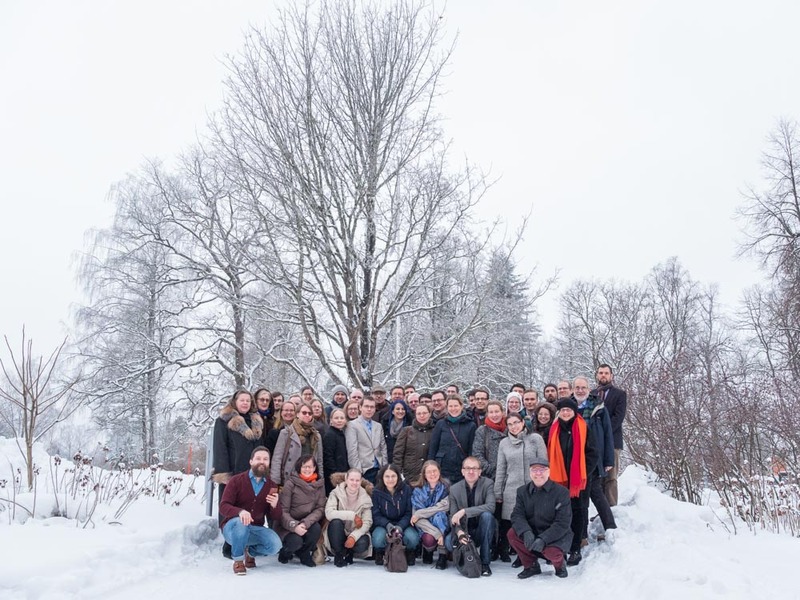 CSTT group photo with the beautiful Finnish winter milieu (photo by Lauri Laine). 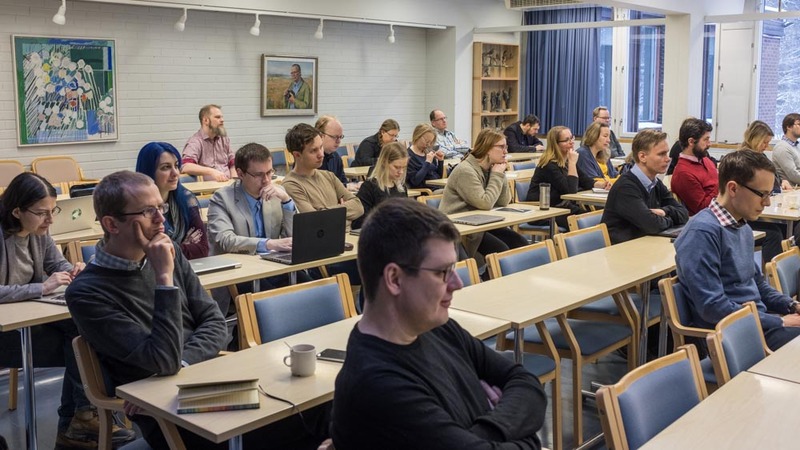 The presentation by Tuukka Kauhanen, dealing with different levels of history that can be gleaned through edited texts (photo by Lauri Laine). 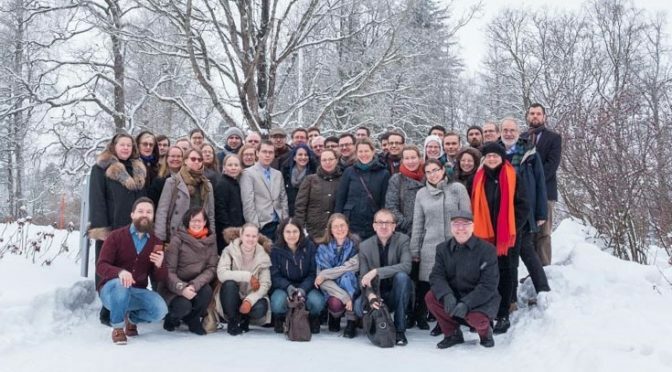 Participants at the CSTT Annual Meeting 2018 (photo by Lauri Laine). 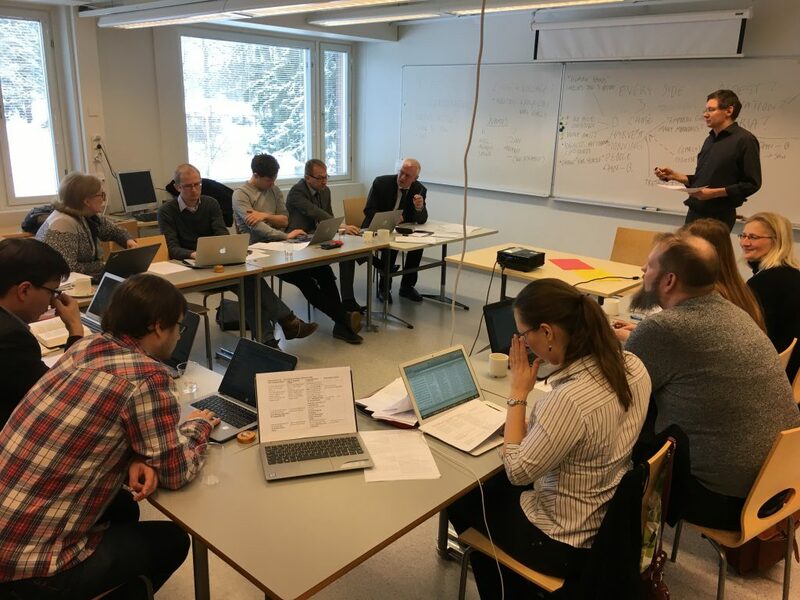 One of the smaller workshops: teams 2 and 3 discussing text-critical cases (photo by Ville Mäkipelto). 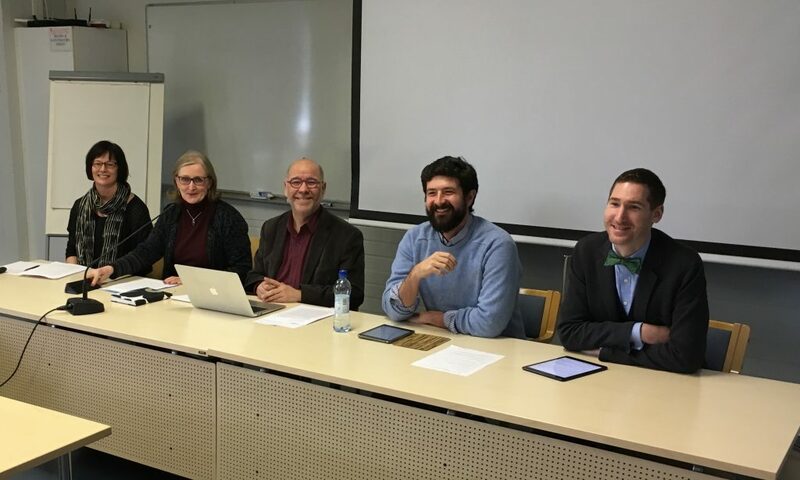 The happy panel “What is Authority” with Jutta Jokiranta, Anneli Aejmelaeus, Martti Nissinen, Francis Borchardt, and Jason Silverman (photo by Ville Mäkipelto). 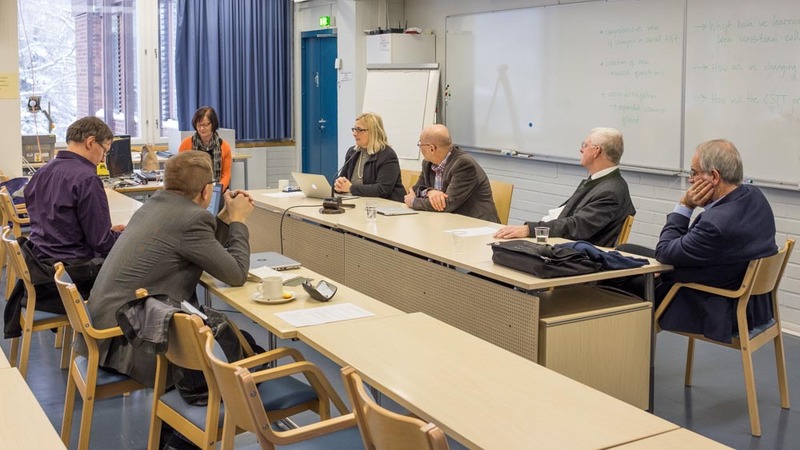 The concluding panel with the CSTT scientific advisory board members Kristin De Troyer and George Brooke, as well as Christoph Levin and our leader Martti Nissinen (photo by Lauri Laine). Last moments (photo by Lauri Laine).